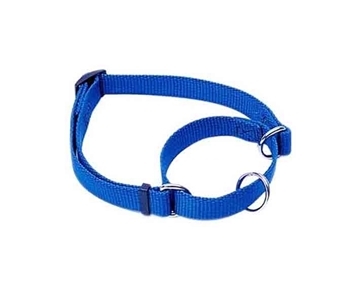 An Alternative to the nylon snap slip collar that you can order to be snug enough to stay tightly positioned up behind the dog's ears. 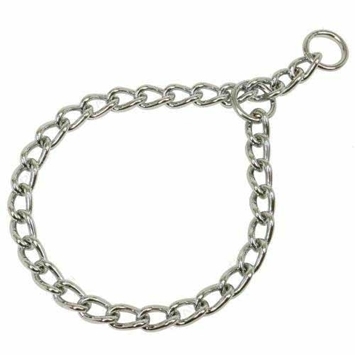 It is a steel choke collar with a toggle and a ring. 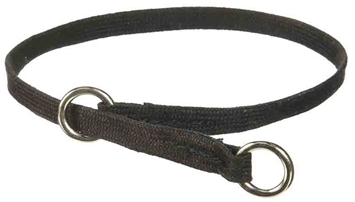 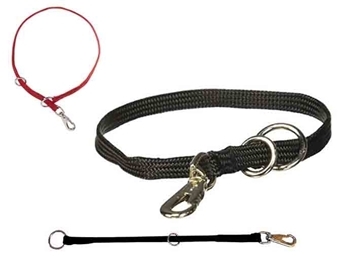 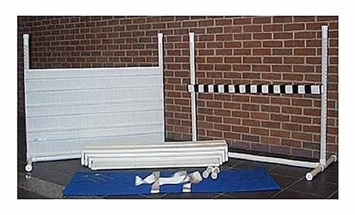 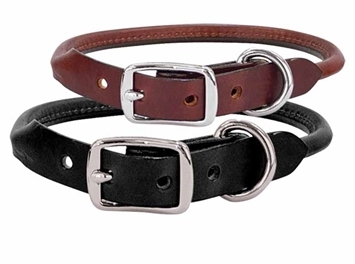 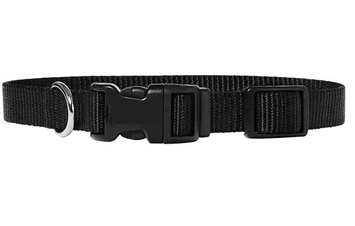 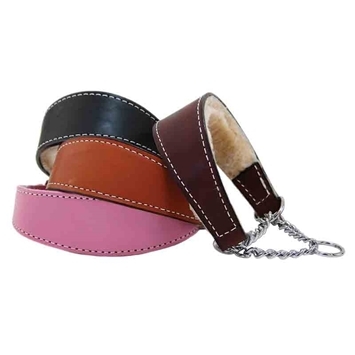 There is no need to add additional inches to be able to slide this collar over the dog's head. 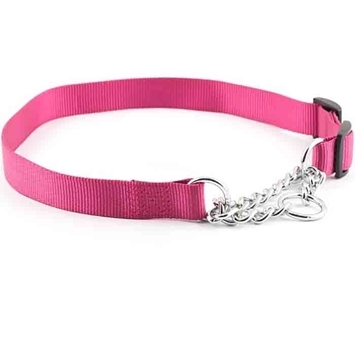 They can be put on without slipping them over the dog's head. 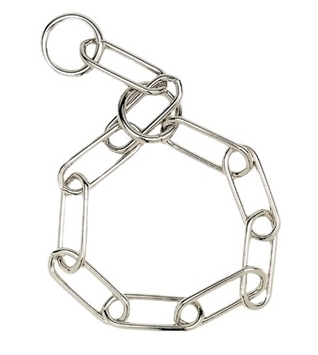 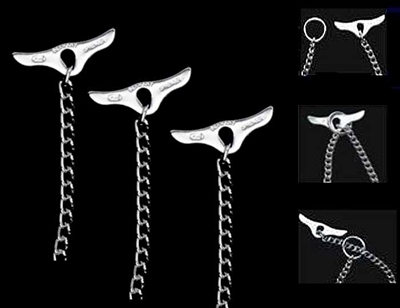 Easy to use, excellent quality steel chain, chrome plated.